The chief said he has many goals. Two are: making the image of the police department more respected by the community, and increasing the department’s capabilities in all phases of law enforcement by acquiring newer technology and equipment. 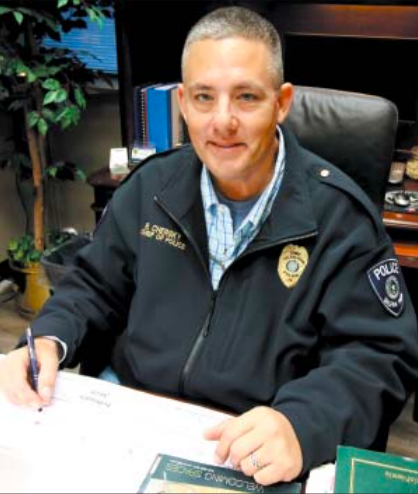 Chief Chersky has a Master Peace Officer’s certification with the state, and he has worked as a police officer for Galena Park and as a Deputy Constable in other agencies for the past 40 years. He feels he will be able to draw from having worked for various agencies to bring the best knowledge and experience to his new chief’s position. A current top priority is to hire more police officers and police dispatchers. Experience in dispatching is preferred but training is available. Anyone interested in either position can call 713-675-3471 or email the chief at: rchersky@cityof galenapark-tx.gov.